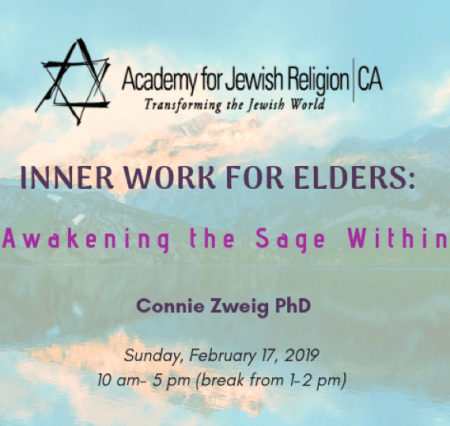 A one day workshop for the community to explore Aging to Sage-ing, a model for late life developed by Rabbi Zalman Schacter-Shalomi to help us to live with more awareness and purpose in our later years. We will explore aging as a spiritual journey, our images/fears of aging, harvesting wisdom from our life review, forgiveness to release the past, facing our mortality, and sharing our gifts through service and legacy. 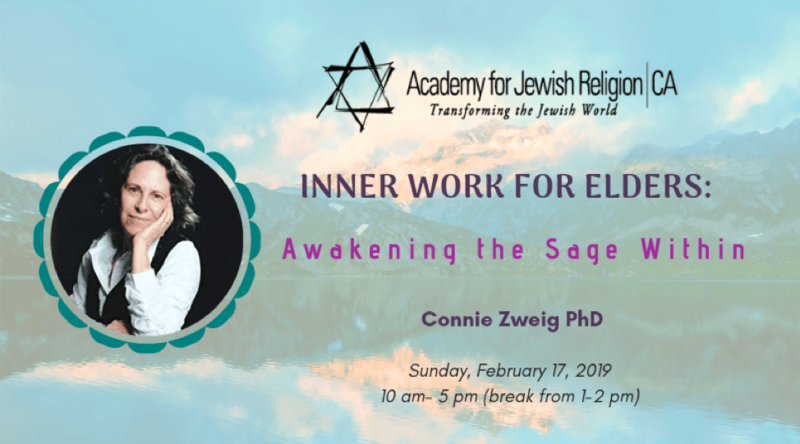 Connie Zweig, Ph.D., has been in private practice as a therapist in Los Angeles for 25 years and is the author of Meeting the Shadow, Romancing the Shadow, Meeting the Shadow of Spirituality, and the forthcoming The Reinvention of Age. She is a Certified Sage-ing Leader, with Sage-ing International. This event will take place at the Academy, Located at 574 Hilgard Avenue, 3rd floor, Los Angeles, CA 90024 (in the UCLA Hillel building). PLEASE NOTE: Parking is available on the surrounding streets (please read the restricted parking signs) and also in Parking Lot #2 in UCLA parking lot located on Westholme Avenue and Hilgard Avenue. Parking is $12.50 per day in Lot #2. If you’d like to join us, there is a MANDATORY RSVP for this event. Please email lgoldner@ajrca.edu to secure your spot. A Few Minutes With…Our Students! Come to Israel with AJRCA in 2019!